Well, with that comment our conversation immediately shifted to a discussion about other fun facts about Nebraska as only a good Nebraska mom would do. First question, tell me about what crops Nebraska produces. My son, corn and cows mom…that’s easy. Learned that in 4th grade. And what else? No answer. What about dried beans? We are the 2nd largest producing state of pinto beans in the USA. Soybeans, we are the 5th largest exporter of soybeans? Popcorn….you know that stuff you inhale after school every day…Nebraska is the largest producer in the country. His response…he shared that his XBOX was more powerful than the computers on the original space shuttle mission. Where did he get that one…science class 3rd grade? My next response, okay, you know that and not about Nebraska agriculture. 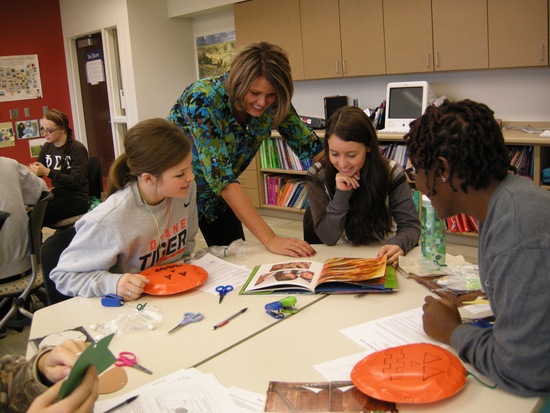 And why should you care…Nebraska Farm Bureau Foundation for Agriculture (NFBFA) works every day to help our kids understand where their food comes from and works to give teachers the tools to use in their classroom by providing curricula that assists with teaching Agricultural literacy skills. To learn more check out www.nefbfoundation.org. We work in Lincoln and across our state to provide consumers with education on food, fuel and fiber and to help develop the next generation of agriculture leaders by supporting leadership programs, scholarships and student loan forgiveness grants are also things we focus on each year. Agriculture represents more than 290,000 jobs in Nebraska. Over a fourth of our economy in our state can be attributed to agriculture. And more importantly, we all need food to fuel our bodies. 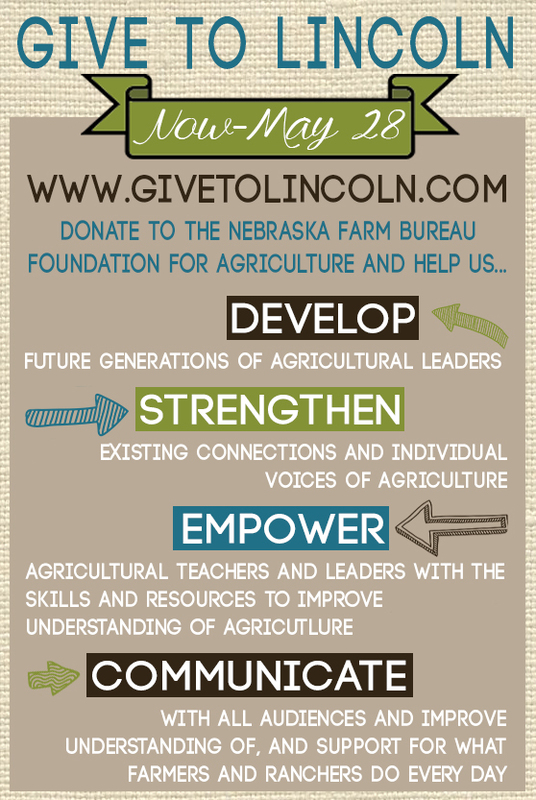 As you think about Give to Lincoln Day, please think about Nebraska Farm Bureau Foundation for Agriculture and the work we do you keep our state strong. Please consider making a gift to NFBFA.